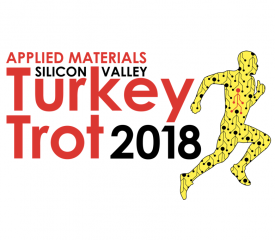 San Jose, CA – The Applied Materials Silicon Valley Turkey Trot produced by the Silicon Valley Leadership Group announced full fields today for both their women’s elite 5k presented by Silicon Valley Bank and their men’s elite 5k presented by Juniper Networks. Athletes will contend for more than $24,000 in prize money and potential bonuses. On the women’s side Shannon Rowbury will be running in her first professional race since giving birth to a baby girl in June. “I’m excited to test my fitness and to fine tune my racing routine as a new mom,” stated Rowbury. “Motherhood has been a life-changing experience, but I am ready to start competing again and I’m excited to share my passion for running with my little girl. Hopefully this is the beginning of the road to my 4th Olympics in Tokyo in 2020.” The American & World record holder will be joined and challenged by fellow Olympian, Violah Lagat of Kenya. Lagat boasts PRs of 15:35 (Road 5k) and 4:04.10 for 1500m. Canada will be well represented by numerous athletes, but led by Rachel Cliff. Cliff boasts a 5k PR of 15:22 and is coming off her debut in the marathon with a solid 2:28:53. Emily Lipari finished 3rd in this event last year and recently won a hotly contested road mile in Las Vegas. Full fields listed below. The men’s field is highlighted by Sgt. Evans Kirwa representing the U.S. Army’s WCAP program. Kirwa has had a very strong fall racing season and is looking to continue his streak of personal bests at the 5k distance. Kirwa will be joined by his WCAP teammate, Josef Tessima who recently won the Inaugural Navy Road Mile. U.S. 1500m specialist Pat Casey (3:52 mile) will join the Army athletes along with numerous strong runners from Canada and Kenya.